Finance Costs > How Much Does HEB Charge to Cash a Check? How Much Does HEB Charge to Cash a Check? The supermarket chain, H-E-B, is the 25th largest grocery retailer in America and has a total of 350 stores in Mexico and Texas. Customers can cash their checks at any H-E-B branch during banking hours. How much does it cost to cash a check at H-E-B? The cost to cash a check at H-E-B will greatly depend on the check amount. Checks less than $3,000 in value will be charged $3 at a minimum, whereas a check over $3,000 will see an additional fee, often capping at two percent of the check’s value. All fees, limits and restrictions will vary by store, according to the official H-E-B website, so it’s best to call a local location to know the exact fees. H-E-B will require that you have a valid photo I.D. in order to cash your check. Visit the Business Center inside any H-E-B location to cash a check. The stores will only cash payroll, government-issued, dividend and insurance checks. 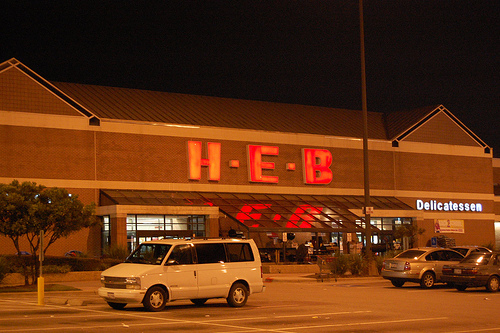 According to some sources online, H-E-B will cash a personal handwritten check but only up to $200. There may be a time limit as to how many checks you can cash after. The store won’t cash a two-party or third-party check. Once cashed, you can either get the funds loaded onto an H-E-B Netspend Prepaid VISA Debit Card. If your check is added to a debit card, card fees may apply. If you were to purchase a reloadable debit card to deposit the check you cashed, for example, you might have to pay an activation fee. You also might have to pay maintenance fees if you choose to put that money on a debit card. All fees will vary, so be sure to read the fine print for more information in regards to the fees charged. As mentioned, call a local store to see what the restrictions are when it comes to cashing your check. This is going to save you time from going to the store. Stores can only cash a check up to $9,500. If you are set on using a store to cash your check, see what other stores in the area will charge as H-E-B isn’t the only place that will cash a check. Walmart and other grocery store chains, for example, will charge your check for a small fee as well. If you can do it, consider opening up a bank account to get your checks cashed for free.